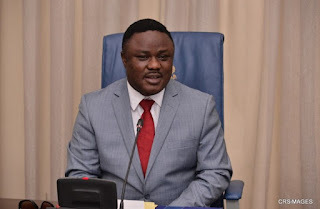 The Cross River State Government is set to establish its security outfit to complement existing federal security agencies in the country. When formed, the outfit will be known as Cross River State Homeland Security Service. The State Governor, Ben Ayade, made this known while receiving the French Consul-General, Laurent Polonceaux, and his entourage on a courtesy visit in his private residence in Calabar. The move is coming as the security of Calabar, the state capital and its environs, has come under serious threats by cultists and sundry criminals. Mr. Ayade said the decision to establish the security body is part of the proactive approach to sustain the peace and security the state is known for. Although its operatives would not bear arms, the governor said the Homeland Security Service will be a complete departure from the traditional methods of policing. While the security outfit will create over 3000 jobs for people of the state, he said its functions would include: providing intelligence and profiling of visitors to the state. Other functions are neighborhood watch and providing data and services to the police. Mr. Ayade, therefore, appealed for technical and logistics support from the government of France. “With the visit of the Consul-General of France in Nigeria and with the useful deliberation we have had with regards to the security challenges facing the Niger Delta, and looking at how Lafarge can do business better in a less security tensed atmosphere, it becomes imperative for us to create a security architecture that can protect Lafarge and citizens and visitors to Cross River State,” the governor said. “Cross River has been the home of tourism, a signature and hallmark of hospitality and good lifestyle for all Africans. It is imperative we make it very safe. “It was against this background that Cross River State Government, with technical partnership from the French government would be looking at the possibility of setting up a Cross River State Homeland Security service. “The Homeland Security service is a complete departure from what is the tradition. It will, however, include but not limited to issues like providing intelligence, profiling of visitors coming in and out, providing intelligence services also, doing neigbourhood check, neigbourhood watch. To carry out its functions, he said the new outfit would require satellite technology, adding that the state would soon get the relevant approval from the federal government. Mr. Ayade said he was convinced that the innovation is the best way to tackle challenging security situation in the region. To provide a legal framework for the new security body, the governor said an executive bill would soon be sent to the state house of assembly for passage into a law. Speaking earlier, the Consul-General, Laurent Polonceaux, expressed gratitude to the governor for the fruitful meeting held between his team and the state government. He appealed for robust relationship between his country and Cross River, especially on the area of doing business with Lafarge and water provision which his country is currently providing for Obubra and Okpoma.